Wonderful experience, the filet was so very tender that we did not need a knife. Our sides consisted of mashed potatoes, onion rings and the macaroni and cheese. Our meal was hot and our service was excellent. Even the dessert was delicious. With an impressive design, enchanting open-air ambiance, and elegant interior, La Casona at Villa La Estancia Los Cabos is a luxurious restaurant with an incredibly romantic flair. The premium cuts will add flavor to your evening, while the platters of certified Angus beef and Baja California lobster will leave you with a memories of an incredible meal. In addition, we serve organically-grown vegetables and fruits from Miraflores town farms, all of which are complemented by an extensive wine & tequila selection. Our signature cuisine & steak restaurant awaits you every night from 6:00 pm to 10:30 pm. Delight in a truly exquisite dining experience at La Casona, where the menu features signature dishes and mouthwatering steaks. As one of the best Cabo San Lucas Restaurants, La Casona has garnered recognition for its diverse menu, which employs fresh ingredients, bold flavors, and scintillating combinations. Whether starting your morning off with one of the many breakfast preparations or dining on the delicious beef, chicken, vegetarian, or seafood platters, you’ll simply be amazed. 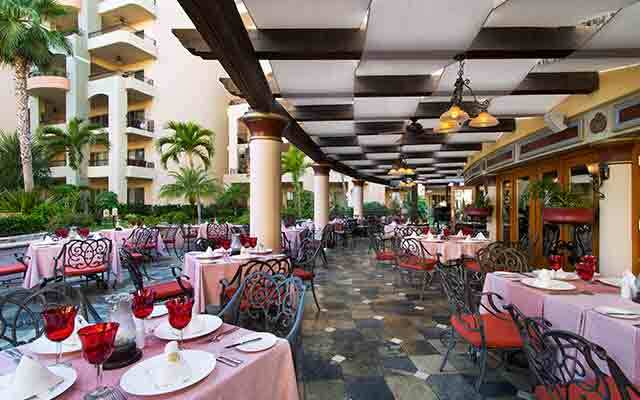 Be inspired at La Casona, one of the best restaurants in Los Cabos. When choosing this fine dining establishment, guests are invited on an adventure for the senses, which teases with heavenly aromas, exquisite flavors, and inspiring presentations. 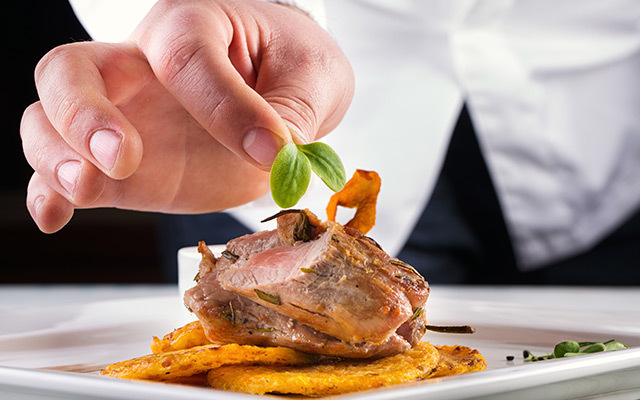 Not only will you find a meal that is fully satisfying, but you can also revel in knowing that it was made with only the freshest of ingredients. It is no coincidence that La Casona at Villa La Estancia Beach Resort & Spa is the number one rated restaurant in the entire city. The expertise of our chefs, who are rich in talent and highly trained, shines through in each and every one of the succulent dishes offered on both our breakfast and dinner menus. Guests are in for a treat as these experts in their field put their own signature twists on each and every meal, delighting all those who dine at La Casona with their bold flavors and creative concoctions. 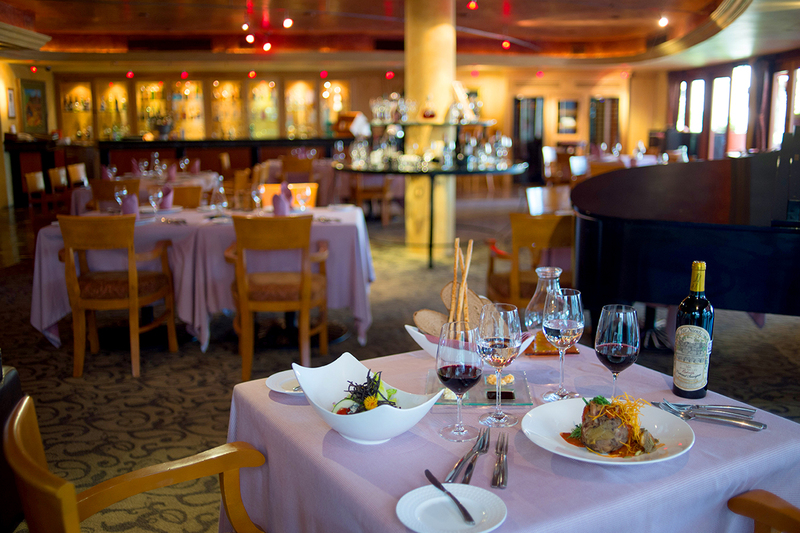 As the #1 restaurant in Cabo San Lucas, La Casona offers much more than just delicious cuisine and one of the largest wine selections in the city. The ambiance is what pushes this Cabo restaurant over the top. Its indulgent decor, rich indoor/outdoor seating, and distinguished service come together to create dining experience that will soothe your senses and pamper your palate. The romantic ambiance is truly one of a kind. Guests dining at La Casona, one of the best Cabo San Lucas restaurants, can delight in a rich menu of wines by the glass and the bottle. Pairing a tasty glass of wine with dinner is one of life’s greatest luxuries and at La Casona at Villa La Estancia Los Cabos, you’ll be able to do just that, but in the most exquisite way. The vast array of national and international wines available at this top restaurant allows you to find the perfect glass to accompany your meal. Peruse the list, ask your server for the perfect pairing suggestions, and be prepared to possibly find a new favorite.